Now is a great time to start planning your waste and sustainability actions for 2016. As facility management professionals, we have a big impact on our facilities and how they impact the environment. 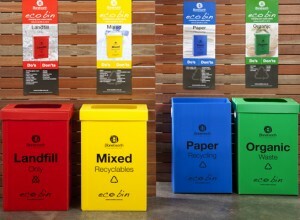 Is it time to change your waste collection habits or increase recycling to save landfill costs? Are there opportunities to cut water and energy use at your site? Improperly placed or overpowered light fixtures can create strain for busy occupants and can also hike up your electricity bill. If you find a printer or machine that doesn’t get much use, consider taking it offline and sending its duties to another unit. A simple reminder for occupants to turn off computers and monitors at the end of the day can help cut costs as well. By reducing waste and increasing recycling in your business, you can save money and reduce your facility’s carbon footprint. Look at how you can streamline existing waste collection practices and find new opportunities for savings. 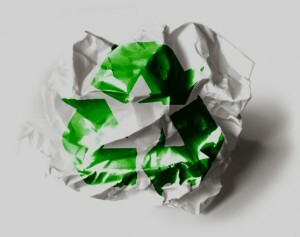 Australians send 1.9 million tonnes of paper to landfill each year and most of it can be recycled. Conduct an audit to find out how much waste is produced at your site and develop an action plan. Simply decreasing the size of your waste bins and increasing recycling bins can encourage occupants to throw away less and recycle more. Make it easy to recycle by placing recycling bins in sensible areas, such as next to printers and photocopiers, and in the staff room. Also audit your external bins to ensure you have the right amount in the correct areas. Using sensors, controls and shut-off nozzles on irrigation systems is a good way to start saving water, as the programmable settings can help you avoid sending water where it’s not needed. It is worth upgrading to drip irrigation, which is up to 50% more efficient than sprinklers. Data logging systems can help you identify leaks at your site. Also think about installing rainwater tanks, placing aerators on taps, and retrofitting toilets. Effective maintenance of heating, ventilation and air conditioning systems can cut energy costs while also extending equipment life, improving comfort, and increasing up-time. Regular maintenance can reduce air conditioning energy costs by 5 to 40 percent depending on the system or equipment involved. Components such as plant control valves, air vents, filters and thermostats need ongoing maintenance or energy performance can decline. Consider scheduling equipment off when not needed. Green cleaning is about looking for safer, healthier and more environmentally sustainable cleaning practices. By switching from night time cleaning to day cleaning, you have the potential to decrease overall energy use at your site by 10 to 15 percent. When cleaners are working during the day, lights do not need to be turned on thereby reducing overall electricity consumption at the site, plus cleaning teams can also respond immediately to ad hoc activities and unforeseen incidents. Green cleaning products are plentiful, and new ones are being developed all the time. In Australia, e-waste is being sent to landfill at three times the rate of general waste. And it is now responsible for 70% of the toxic chemicals such as lead, cadmium and mercury found in landfill. Minimise the impact at your site by recycling computer screens, electrical goods and batteries. Don’t store obsolete equipment, the sooner it’s recycled the more useful it can be. Don’t forget to get everyone involved and create a sustainability culture! Make sure everyone knows the facility is making efforts to become more sustainable, and keep everyone informed about progress and any wins along the way. Encourage building users to suggest ways to become more sustainable. Danihers Facility Management offers a range of sustainability solutions for your facility, including environmental audits, waste and recycling programs, landscaping, and energy and water saving initiatives. For more information or advice, contact us now, call the Danihers Customer Service team on 1300 559 409, or call your Client Service Manager.